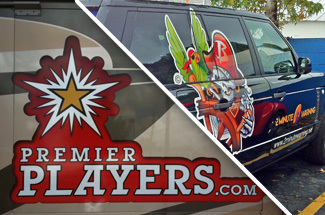 Car decals, vehicle lettering, perforated film, reflective vinyl’s, we’ve done that. Come to the team that truly understands mobile marketing. If the other guys blink rapidly when you mention demographics, you're not getting your money's worth. 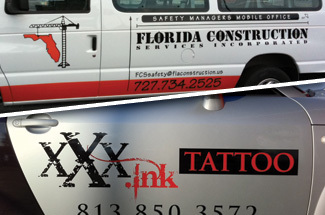 You name the decal, we can do it. 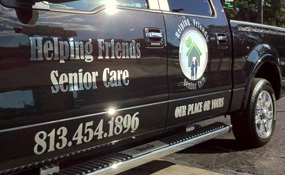 Wrap vinyl, Reflective vinyl, Clear vinyl with white ink. You share the effect you desire, we take it from there. You see out, they see the design of your choice. Available with 1 and 2 year warranties. Classic for I.D.ing work trucks. 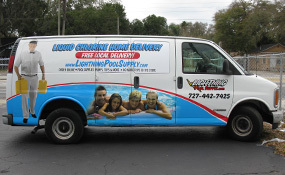 Premium “cast” vinyl’s last the longest in Florida’s hot sun. Precision cutting. See a sample book to pick your colors. Millions of advertising views for little money. 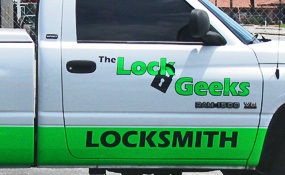 Cut white vinyl, full color, whatever brings your message to life. 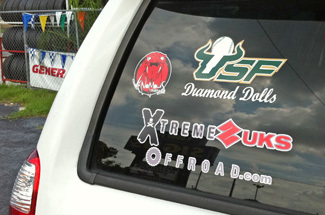 We’re pro’s at custom window decals. For a unique look, chrome vinyl makes heads turn. A truly WoW presentation of graphics, best with cars with chrome. 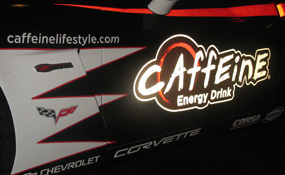 Flourescent vinyl graphics turn heads. The richness of color creates lingering views. 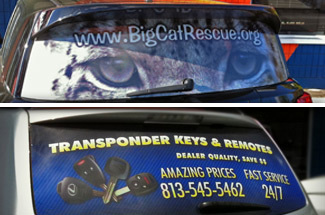 Amazing advertising value, more calls. Full color, custom designed, don’t settle for mediocre. This is a basic mobile marketing device all companies should consider. The matte look is hot, affordable, and truly distinctive. 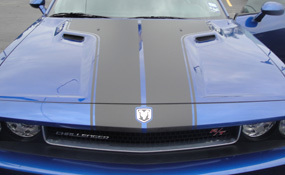 Whether it’s your mirrors, hood, or whole car, we stock 3M matte vinyl. Make the most of the “morning and night-time driving. Effect is catching fire then glow. More ad impressions, a value in advertising. Save $ without compromising your ability to attract new customers. 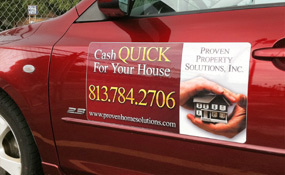 Our experienced team stretches your budget, more bang, less buck.